Best known by his stage name Joe Penny, Joseph Edward Penny has been in the entertainment industry for over four solid decades and as such has earned himself a good stand among his peers. Penny has appeared in several highly rated films like Forever Fernwood, Jake and the Fatman, Lou Grant, and Jane Doe: Till Death Do Us Part, to mention a few, but his rise to fame is attached to his role as Nick Ryder in the TV series, Riptide. In addition to his high stance in Hollywood is his decades-long marriage to his heartthrob which has remained a source of hope to many young married couples both in the industry and beyond. Let’s learn more about the veteran actor Joe Penny. 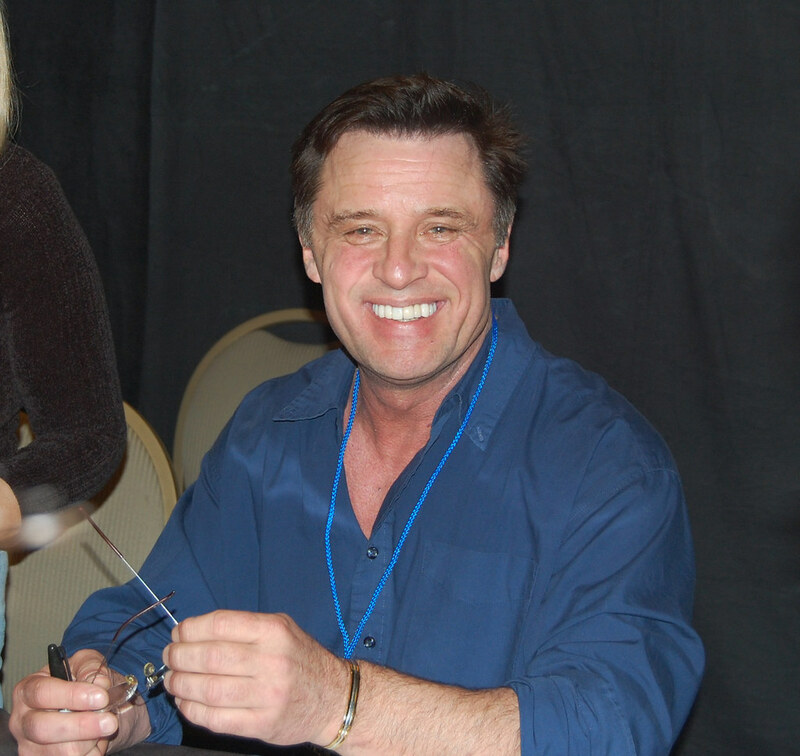 The June 24,1956-born son of an Italian mother, and an American father, Joe Penny is a native of in Uxbridge, London, he grew up in Marietta, Georgia before moving with his mother to California, after his parents divorced. At that time, he was just six years of age. Penny has about seven direct siblings six of which are girls with only one brother. He also has three half-siblings. Unlike many actors whose passion for stage performance could be traced to their early years, Penny grew up as a sportsman. While schooling at Marina High School located in Huntington Beach, California, he joined the school football and basketball team and did quite well to that extent where many thought he would pursue a career in any of the two sports. But no, Penny chose to take up acting career instead. Acting for Joe Penny started at the age of 21, after going through training under a Polish-born American film director, actor and theatre practitioner, Lee Strasberg. He then started taking some minor roles in films and pilots. His first recurring role, however, was in the TV series Forever Fernwood where he played as Sal DiVito. Before making his major breakthrough in the 1984 TV series “Riptide”, Penny appeared in series like Flamingo Road, CHiPs, Archie Bunker’s Place, and Vega$. He even appeared in a good number of films some of which include Gangster Wars and Our Winning Season. He was among the main cast in the NBC-aired detective series which ran for three seasons. Joe has remained active in the movie industry ever since making more important appearances in more highly rated films and TV series. He even joined the likes of Lea Thompson in the 2005 mystery series Jane Doe. Joe Penny Net Worth – How Much is The Actor Worth? Since his acting debut in 1977, Penny, with his mixed ethnicity of American and Italian descent, has garnered a decent amount of wealth for himself. The actor has a growing net worth of $500 thousand but facts about his annual earnings and investments have not been released to the public view. Prior to his career as an actor, Joe tried his hands on some odd jobs including job as a dishwasher and crew foreman. Today, he is among the famous people in the Woods. Added to his successful career is his successful marital life. Penny has been married to Cindy M. Penny since 2004. The marriage ceremony was held in the presence of a few friends and family members. They agreed to make their union official after dating for a long time. Despite being famous, Joe has maintained a private lifestyle when it comes to his family life. He neither speaks or is seen with his wife in the public. The only time you could see the two together in a very public place is during red carpet events. This does not mean to say that they do not have a blissful life together, the two are quite happy together as there has not been any scandal emanating between them. Joe and his wife do not have any child(ren) together yet but their love life has remained a source of encouragement to many young couples. Is He Related To Brendan Penny? There’s been a growing argument about Joe Penny being related to Brendan Penny. Some even believed the two are brothers but the truth remains that Joe and Brenden have two things in common- they are both actors and they share a similar surname. While Joe is an Italian- American actor, Brendan Penny is a Canadian actor who grew up in both London and Ottawa. His full name is Brendan James Penny.